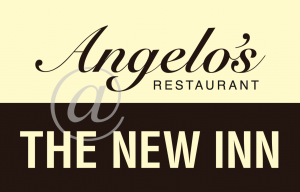 Angelo’s Restaurant at the New Inn offers a warm and friendly atmosphere with excellent food and a high standard of service. The small bar area is ideal for pre dinner drinks or coffee after your meal. 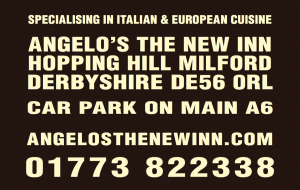 Angelo and his wife Carly took over the management of Angelo’s Restaurant at The New Inn, Milford in November 2006. Together they are working hard at putting their own mark on the Restaurants overall image. Milford mill and a warm and inviting restaurant.